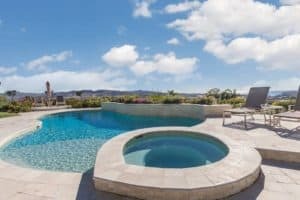 Pool Water Recycling Saves Water - Calif - Pool Heaven Inc. Swimming pool water should be replaced every 5 to 10 years in the Orange County, Ca. area. This is, because evaporation takes fresh water out of the pool and leaves all the minerals and byproducts added from tap water, chemicals, and bodies in the pool water. Pool water recycling also called pool water purification will purify your pool water and remove the total dissolved solids. These total dissolved solids can damage your swimming pool finishes and disable the ability to balance your pool water chemistry. Old, hard pool water will scale up your tile, pool finish, and even pool equipment. This old water will also make it more difficult to hold chlorine in the water and keep your phand alkalinity at ideal levels. Due to the recent drought and other environmental reasons, draining and refilling your pool or spa with fresh water is frowned upon. 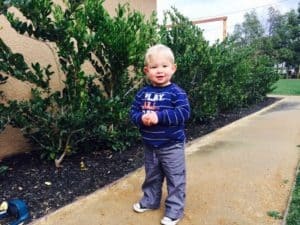 There are also other concerns and problems with draining and refilling such as the concern of your swimming pool popping up due to the water table underneath it. Plaster and other finishes are also designed to stay in contact with water and you can get problems with delamination and such. In addition to these problems, it takes a couple days to drain and refill. Water costs are going up and you have to pay for that water on top of the drain and refill service as well. There is an alternative that is easier and comparable in costs and GREAT for the environment. You add calcium to your pool whenever you add tap water. In effect your calcium hardness rises as water evaporates, because the calcium stays suspended in the water. Your pool water will grow in calcium hardness over time. 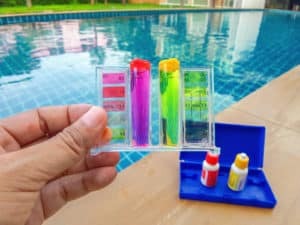 Another phenomenon that happens with swimming pool water is high conditioner levels. Chlorine tabs have conditioner in them and you are raising the pool water conditioner level every time you add chlorine tabs. We have techniques to balance this and you can read about them at our blog “Perfect water chemistry”. For our purposes here, just understand that you can damage your swimming pool with conditioner levels over 100 ppm. Pool water can be aggressive when your conditioner rises over 100 ppm. You may have aggressive or even very aggressive water, because of this conditioner alkalinity factor. This is complicated and you can fully explore this topic at our blog “Pool conditioner is important”. The thing to understand is that the higher over 100 ppm your conditioner is, the more aggressive and damaging your pool water can be. Over time your swimming pool water will grow in total dissolved solids. Total dissolved solids are all the organic and inorganic substances in your pool water that remain locked in suspension in the water. Some of these can be filtered with coagulant chemicals, but many cannot and over time they build up. Your pool water will be considered high in total dissolved solids if over 1,500 ppm and this saturated level leads to precipitation of minerals wherever the water makes contact especially through constant evaporation. You can still have perfect water chemistry with high total dissolved solids, but scaling and precipitation will be accelerated and you may have some difficulty with balancing your water chemistry. Salt water pools have to operate under conditions of high total dissolved solids as most salt systems need 3,000 ppm of salt or more to work properly. Having to add more chemicals to reach perfect water chemistry could be a sign that you have high total dissolved solids in your pool water. Also, lots of scale buildup on your pool tile or stone work is another, although, you can get this buildup regardless as calcium will deposit upon evaporation. High total dissolved solids basically make the hard elements like calcium heavy and saturated in the water for easier depositing on pool finishes. 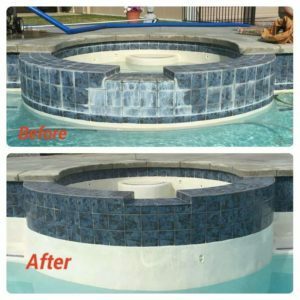 You definitely want pool water recycling when you get your pool tile and stone work cleaned as the scaling will come back even faster with pool water that is high in total dissolved solids. Salt water pools usually need over 3,000 ppm of salt to work properly. This means that your salt water swimming pool is already high in total dissolved solids with fresh water. 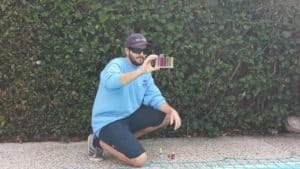 This is why you see a lot of white scaling on tile, boulders, decks, coping, etc. etc. around salt pools. As the water evaporates on any material, it deposits the contents of the water on the material. 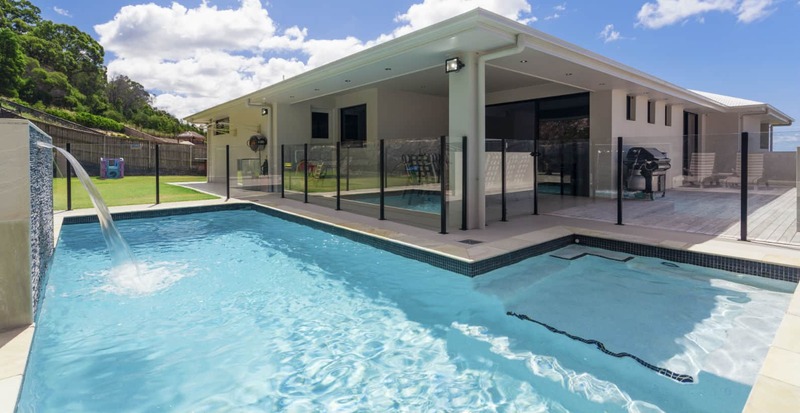 This is why you should choose materials for your swimming pool that have white in them especially salt water pools. This will help camouflage the white deposits you most definitely will see somewhere in a salt water swimming pool including the surface finish inside the pool. There are some chemicals out there that actually hurt pool water. Be careful what you add to your swimming pool especially algae preventatives. This is one of the first things we test for when starting up a new account. When we take over problem pools, we need to find out quickly if the pool water has conditioner in it and know if it is holding chlorine. Pools will get algae and cloudy quickly if the pool water will not keep an ideal level of free available chlorine. Conditioner is what holds chlorine in the water. If a pool has at least 50 ppm of conditioner, it should hold chlorine well in the water. 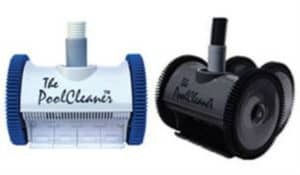 If it does not hold ideal chlorine well and we have ideal levels of conditioner in the water, we know the water may be bad and need pool water recycling. We have noticed a pattern in certain products that will disable the conditioner to bond to the chlorine. It is just a good rule of thumb to recycle your pool water every 10 years regardless of your water chemistry. This is in a perfect world and being that we have a drought in California at this writing, draining and refilling is frowned upon. Pool water recycling uses a pool water purification system that combines ultra violet light, reverse osmosis, and micro filtration. This pool water recycling is all done through a portable trailer that uses hoses to and from your swimming pool water to eliminate and filter out dissolved solids in your pool water. 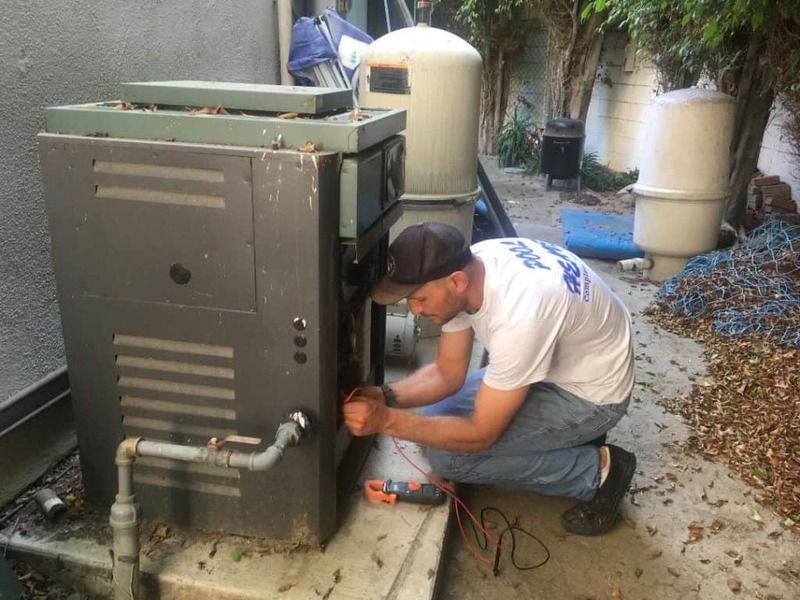 Pool water purification in Orange County is fast, easy, and environmentally sound. You can count on saving 90% or more of your swimming pool water! Pool water recycling will recycle your old pool water into drinkable, fresh water more pure than the tap. Fresh, perfect swimming pool water can be another part of your own Pool Heaven, so call Pool Heaven now to see when we can schedule your pool water recycling! Next Post3 Best Tips To Avoid Hard Water In Your Pool In Garden Grove, Ca. Pingback: Pool Safety Gate Saves Lives -Calif- Pool Heaven Inc.